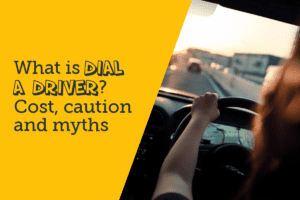 Why use a dial a driver service? Driving when you are drunk is an undoubtedly the most stupid thing you can do. Try our Personal Dial a Driver Services. Drinking is not bad itself especially when you are catching fun. But you should never let it become more important than your life like some people do. When they throw caution to the wind by still choosing to drive when they get drunk. It’s no secret the danger they expose themselves and others to when one decides to get behind the wheels when under the influence of alcohol. Few shots or beers could dramatically ruin your life. If you’re lucky to escape death in the face of a fatal crash, you may end up receiving a jail sentence or some other harsh punishment. And even if you don’t get involved in an accident, it is still possible to get caught by the cops. So drinking and driving are two things you should never “marry together” no matter how steady you think you are or how hurriedly you want get home after a drench. You know…a drunk doesn’t always look like it to himself. You don’t want to become part of the drunk-driving statistics at the end of the year. If you know you’re going to drive later, it’s better not to drink at all. And if you can’t resist the urge to grab a beer or two, then you may want to consider using a dial a driver service. Taking a taxi when “out of gauge” is the best way to protect your life. You never know what you have until you lose it. In this case, you may not even be around to tell the story. First and foremost, you should realise that any DUI charge, whether from an accident or a case with the police, automatically puts your name in the database of offenders in the country. It’s already a crime in New Zealand to drive when you’re passed the legal limit for BAC. So, once you’re caught, you’re going in for it. But you can avoid getting caught altogether by using a dial a driver service whenever you’re intoxicated. There are punishments for drunk-driving offenders in New Zealand, and one of them is a license suspension which may last anywhere between few months to many years depending on the severity of the situation. In worse cases, you may not even be able to drive again. Whether it’s for a few months or some years, losing your license puts a strain on your life-one you definitely won’t like to bear. Instead of driving yourself, you will now have to rely on others to go wherever you want to go. If you drink and drive and get caught by the cops on the road, you will be tested for the legal alcohol limit. And if your BAC is found to be above the legal limit (which is a BAC of 0.05), you are likely going to be charged to court. A drunk-driving conviction can make you lose your job. In fact many employers fire their workers on the spot once they find out about they have a DUI conviction. And if you decide to apply somewhere else, potential employers can look away once they see such charges on your record. Even if you run your own business, a DUI conviction will not be good for your image. Apart a possible license suspension, some more severe penalties could come your way if charged with a DUI conviction. Of course, you can prevent this by using a dial a driver service around, such as kiwi, to get home when under the influence. Jail is not a place to be; it strips you of your rights and freedom. A heavy financial burden incurred through a DUI conviction can keep you in debt for a long time. Even if you’re going to appear on a paper, it should be for the right reason and not because you’ve been convicted with a DUI offence. In addition to getting listed on your public record, your arrest can also be published in the newspapers. Apart from suffering embarrassment, your relations and friends may begin to see you differently. And you can’t blame them. Apart from death, the next thing you don’t want to live with is the guilt of knocking someone down to death or causing an accident because you drifted off your lane or didn’t see or respond to the traffic light on time. That’s what alcohol can make you do. When you drink and drive, your cognitive skills and driving ability can be impaired. In such situation, an accident can easily occur. But you can avoid this by taking a taxi instead of driving yourself. Now let’s take it off the road. You’ve probably seen a drunk before-he talks loud, walks dirty, and looks messed up. Now you don’t want to be all that. So, once you get the first sign, ring a dial driver service in the area to come pick you up. A company like kiwi will be there before you know it. Mind you, a DUI charge automatically gives you a criminal history which can come up in any background check. You don’t want live this way! You can avoid this by acting responsibly; take a taxi or ask a friend for a ride. Most people are aware they could die when they drink and drive, yet they still do it. Kinda make you wonder why they could be so irresponsible. Well that’s exactly what it is when you throw caution to the wind and put your life and that of others in danger. Why not do the right thing; take a cab, dial a driver service or hook up with a friend. Don’t be an idiot. Most people often tend to limit the number of drinks they take when out because they don’t want to exceed the legal limit. While this is reasonable, it limits your fun. How can you hang out with friends and shy away from the booze? When you drink is NOT the problem. The problem is when you decide to get on the road when intoxicated. Isn’t it better to just have a driver on standby to get your home when you’re done having fun? PrevPreviousWhat are the consequences of drunk driving in New Zealand?